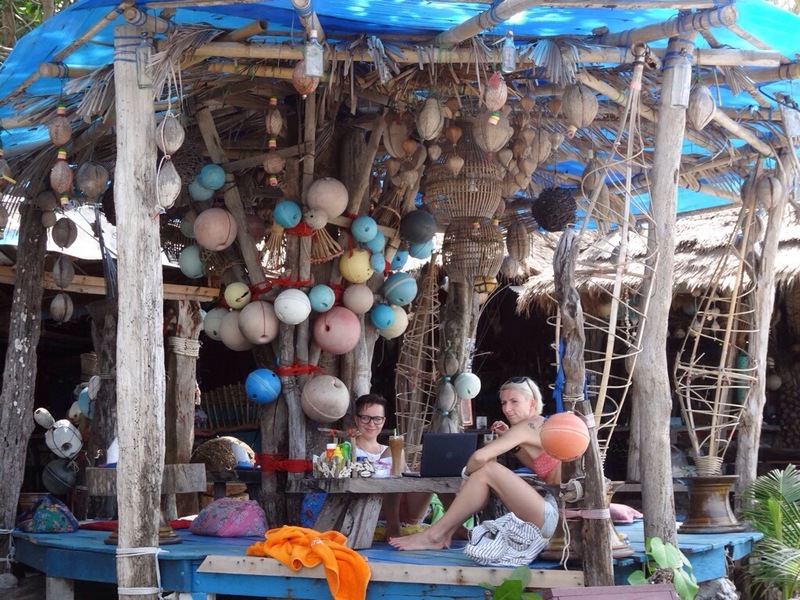 From Phi Phi island, we took the ferry to Koh Lanta. The pier at Phi Phi is a bit disorienting, with loads of people carrying suitcases, and unidentified people directing passengers to the different boats waiting to leave. They ask to see your ticket and then proceed to affix a sticker on your shirt, identifying which ferry you should take. The ferry dropped us after about an hour’s journey at Ban Sala Dan – The town by the ferry dock. A cluster of humble restaurants lined the edge of the water. Many offered simple food or rooms for rent in charming buildings made of wood, standing on stilts in the water. 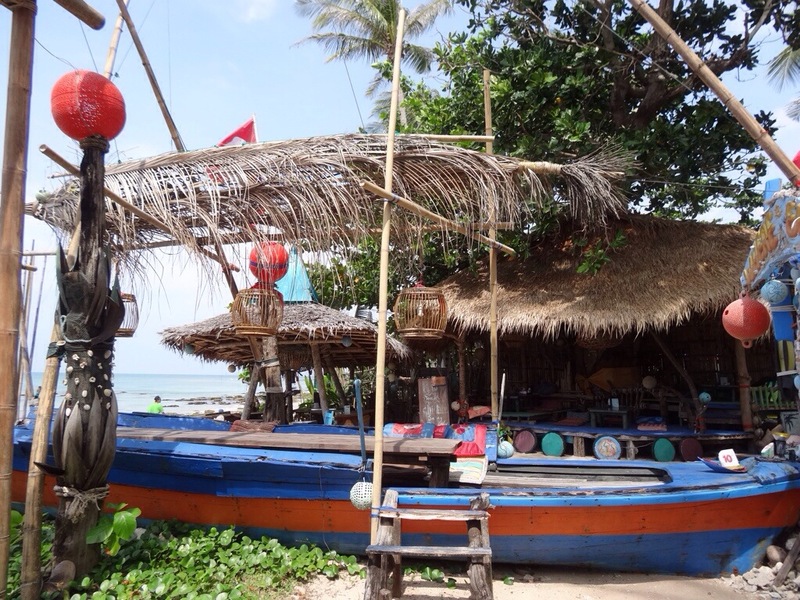 There are no traffic jams in Koh Lanta, but the island is big, and you need some kind of transport to get around. Most tourists rent scooters, which cost very little and are easy to ride. We rented a scooter from a shop by our hotel for 250 Baht per day (about $8 USD). As customary on Koh Lanta, it is not required that you show them your driver’s license, they simply keep your passport as a deposit until you return the scooter. Helmets are also not required nor offered, but after Jules read that you might get a fine if you do not wear one, we went back and asked for them. Almost no other tourists nor locals wore helmets. The island has a charming mix of local residents, each with their own traditions. 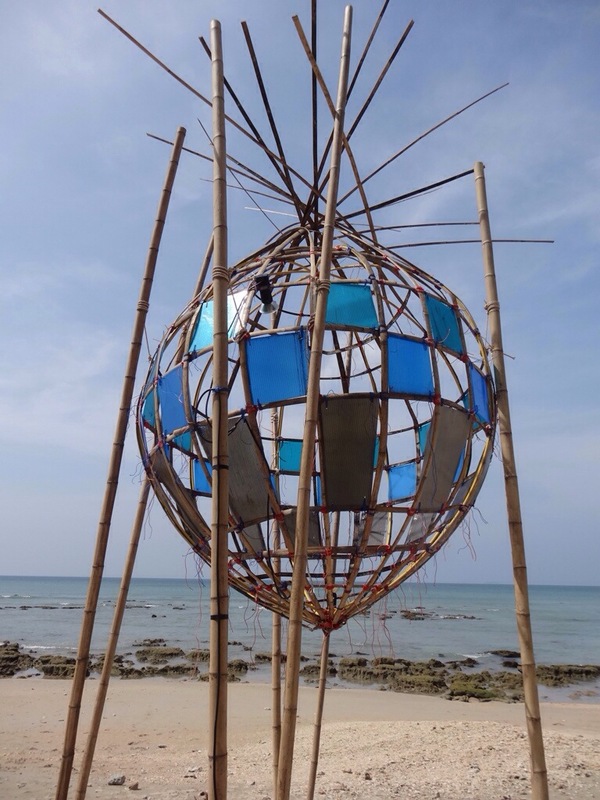 Koh Lanta and the nearby southern Thai islands were originally settled by Sea Gypsies only about five hundred years ago. These sea gypsies possibly originated from Indonesia, and used to live by roaming the Andaman sea, looking for the best places to fish. 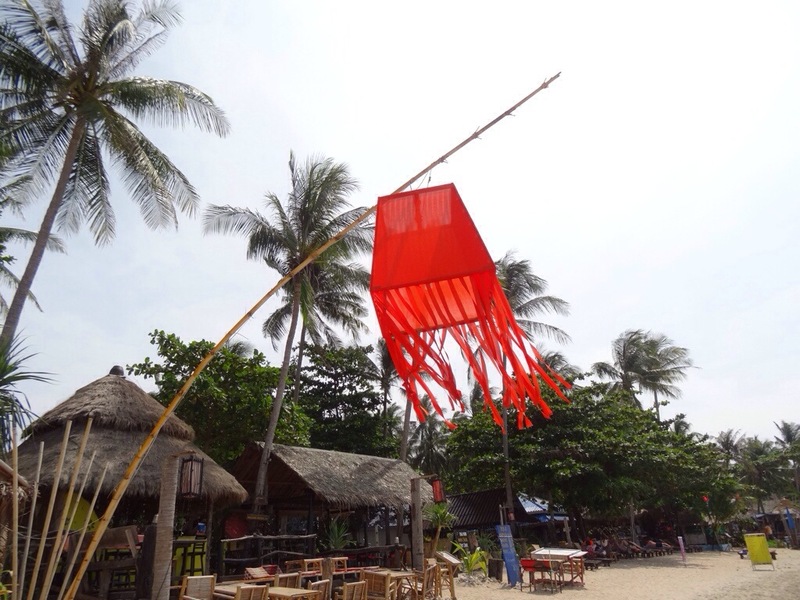 They are called “Chao Ley” – People of the sea. Three hundred years ago, people from Malaysia came to the Islands and brought with them their Islamic traditions. All over the southern Thai islands you will see the Malay-Muslim influence in the food, in their headscarves and in their clothing. The sweet songs of the Muezzin, calling people to the night prayer, fill the island’s air and mingle so harmoniously with the sound of the waves…. It fills my heart with love for those gentle smiling people. The animist Gypsies and the Islamic Malay have lived in harmony on these islands for hundreds of years. 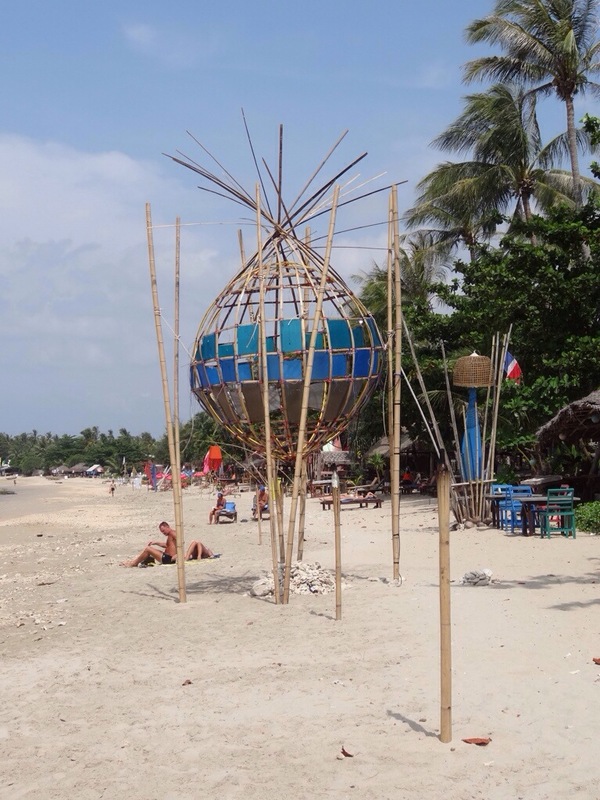 You can still see today the Animist traditions, in which people erect “Spirit Houses” all over the islands. Those Spirit houses are built as a miniature house with all the details of doors and windows, including a ladder and a patio, all filled with figurines of people, dancers, old peoples and animals. People come to these shrines and offer food and bright colored fizzy drinks to the Spirits. 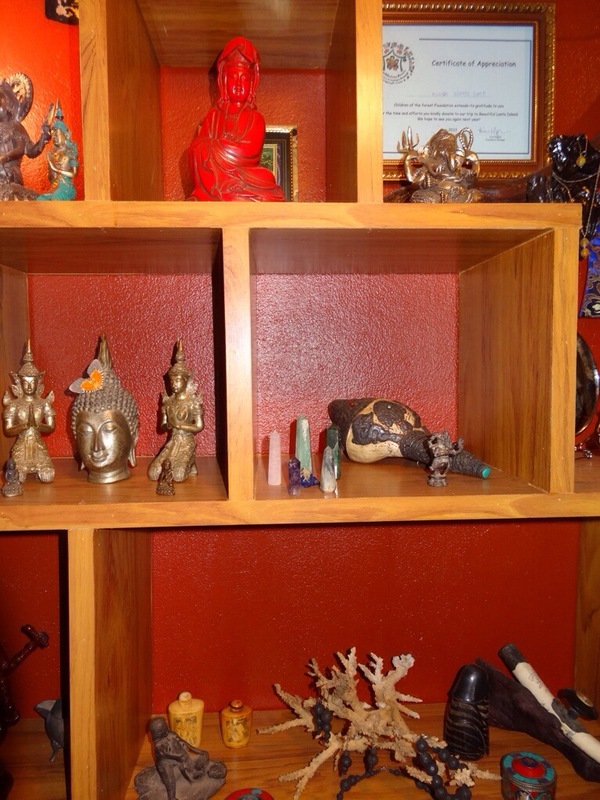 These Spirit Houses are shrines to appease the governing Spirits. It is believed that if the unseen Spirits have their own beautiful home and everything is plentifully provided for them, they will not be hungry, and will not go after the village’s households, seeking what they were missing in their spirit life. In other words, the satisfied and appeased Spirits will be happy with the people and provide for them in return a good catch of seafood and much health and abundance. About two hundred years ago, Chinese traders arrived at the shores of these islands, looking for business opportunities. They traded coal and tin with the locals and stayed and established their own traditions. They brought with them Taoism and Confucianism. 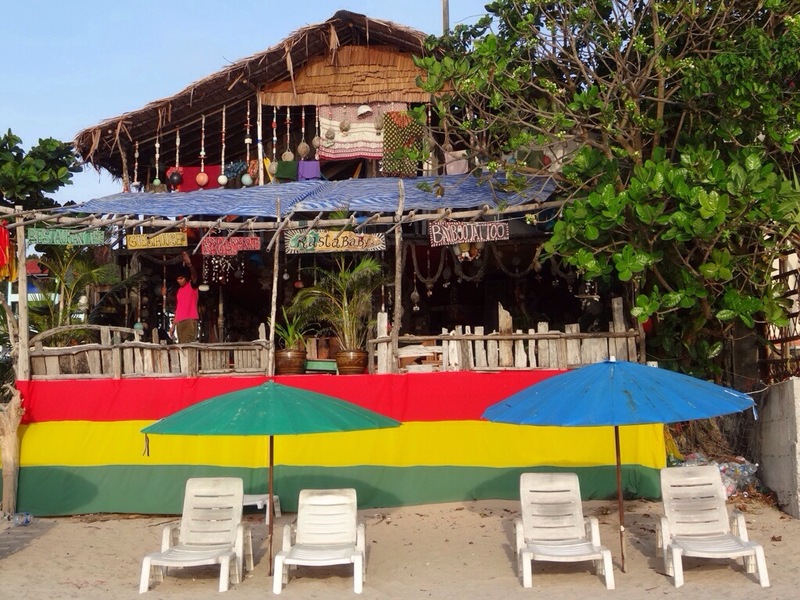 Their descendants still run many of the businesses around the islands. 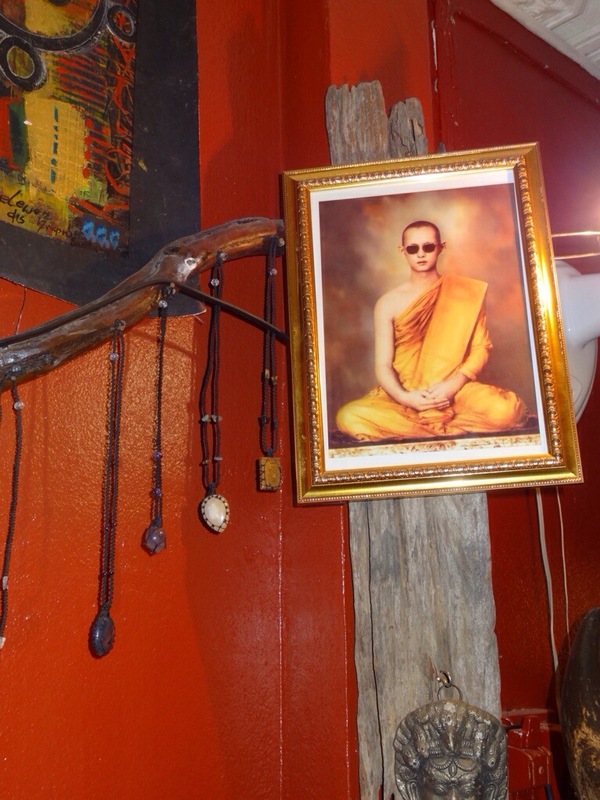 Thai Buddhists arrived shortly after the Chinese and established Buddhist temples called “Wat” in every village. Dutch, Swiss and Scandinavian tourists discovered these little islets filled with monkeys, friendly and accommodating locals and tropical fish, only in the 1980’s. Electricity and phone lines were only installed in the mid 1990’s and since then a constant stream of tourists has never stopped coming…. Only the 2004 devastating Tsunami stopped tourism for a few years. The best beaches in Koh Lanta are along the western coast, where you can see some amazing sunsets. 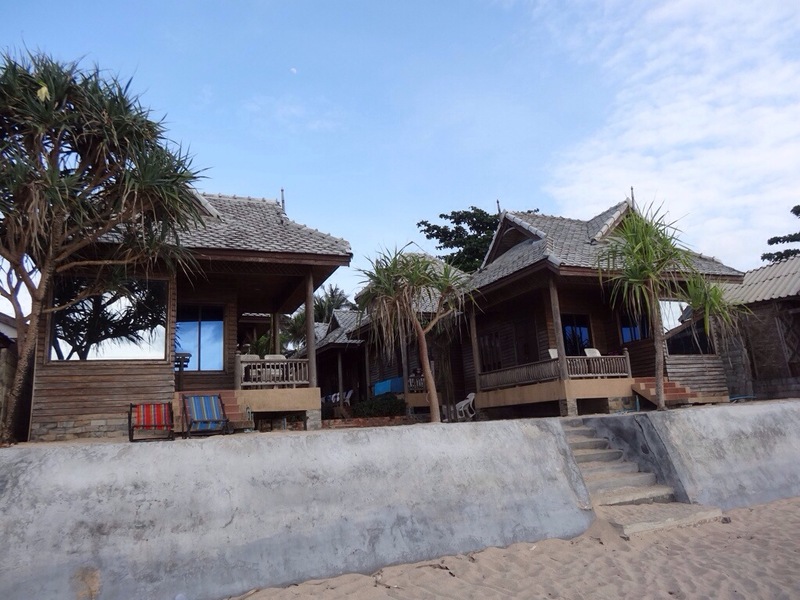 Our hotel was located next to Kantiang Beach, which is on the Southwestern coast. 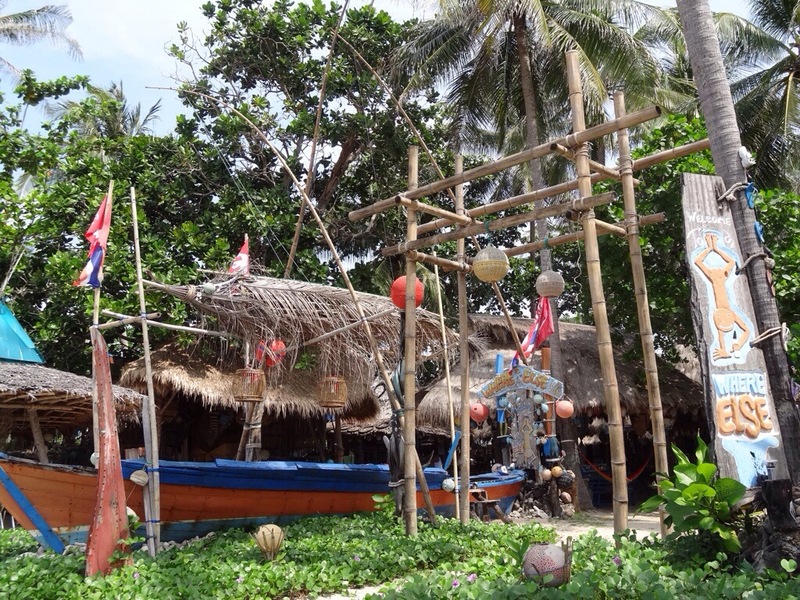 It is the quieter and less populated part of Lanta. 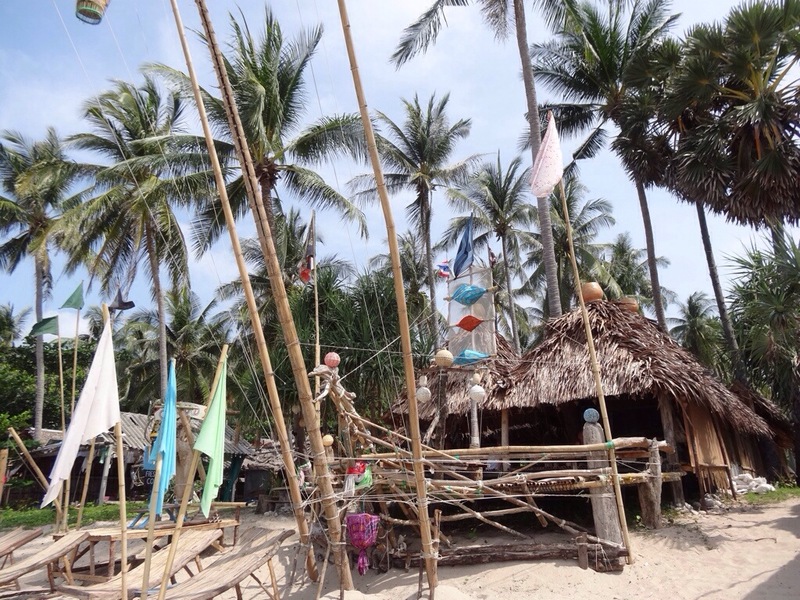 The southernmost tip of Lanta is a national park with a jungle and undeveloped beaches. 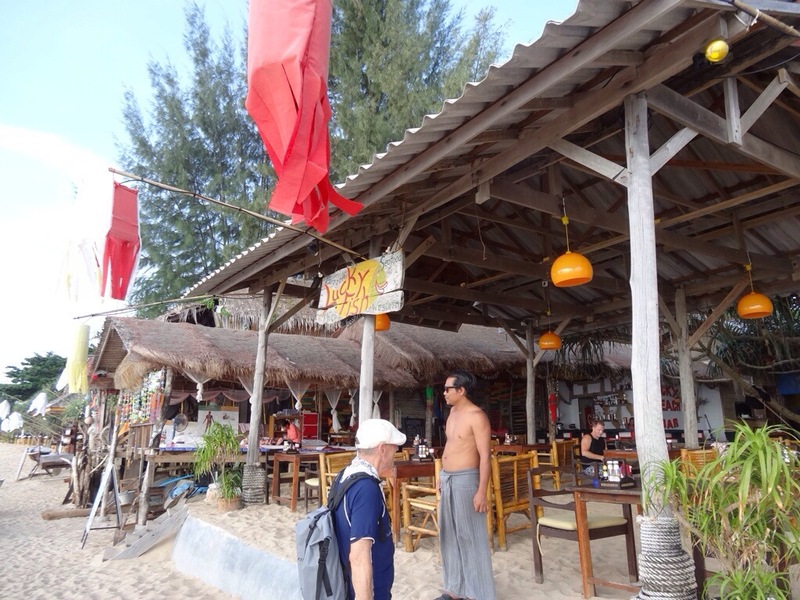 Coming from Phuket and Phi Phi island, I found myself missing the services…. Where are all the fresh fruit and juice stands?…. 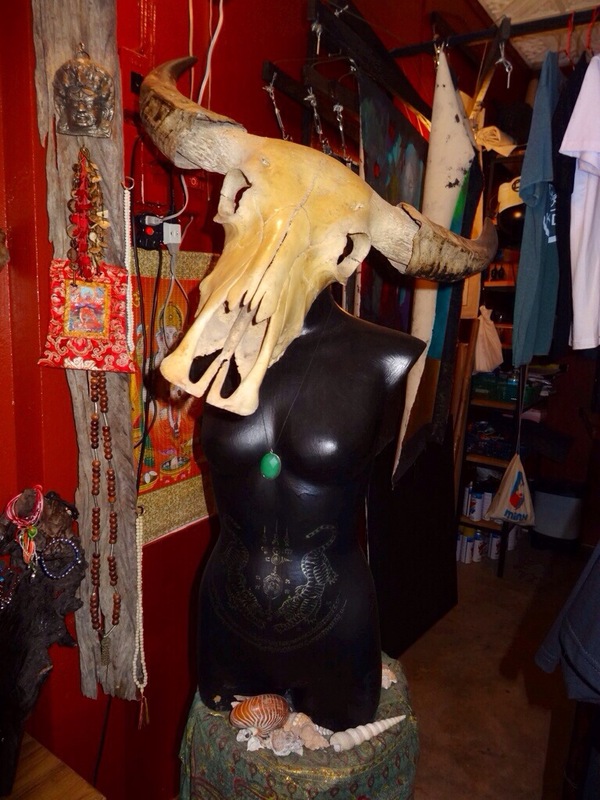 All the tattooed dudes and naked girls?…. 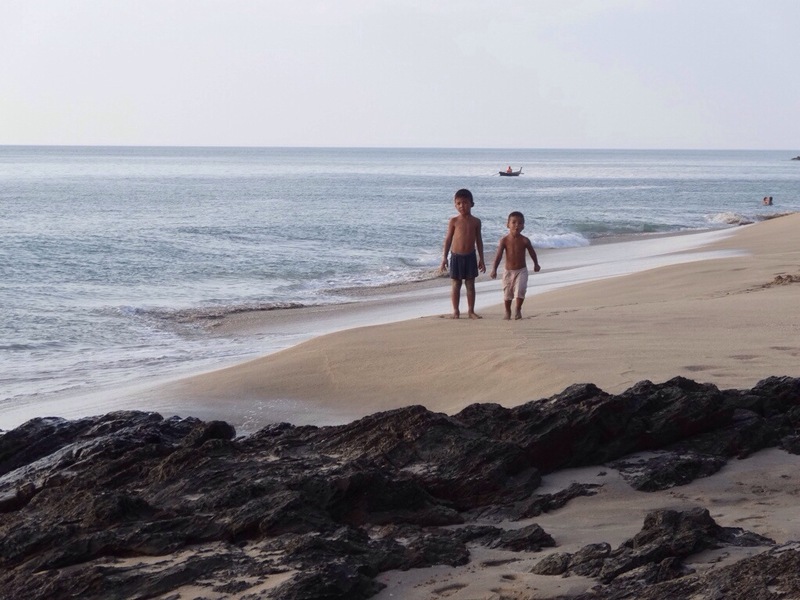 At very first glance, Koh Lanta seemed to have more families with kids, and normal couples like us (maybe too normal…) who came to get away from it all. 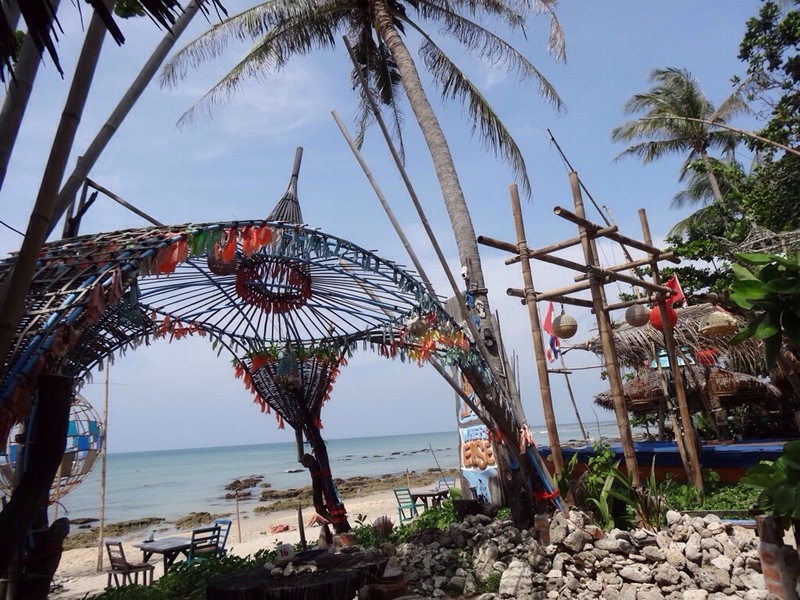 But after a week on Koh Lanta exploring its different areas, I found out that the island is much more diverse than my first impressions had led me to believe. Lanta actually has everything for everyone. No doubt it can offer the “ideal” beach vacation to busy business people, whose idea of the perfect beach vacation is to stay in five star resorts by the beach, with almost no one around. 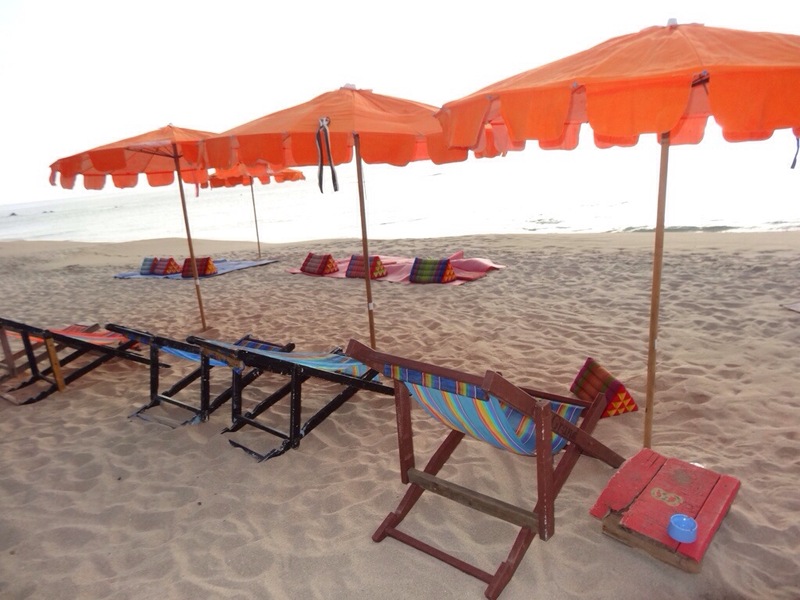 With wired minds and stressful lives, those overworked business people come to the beach to unwind. 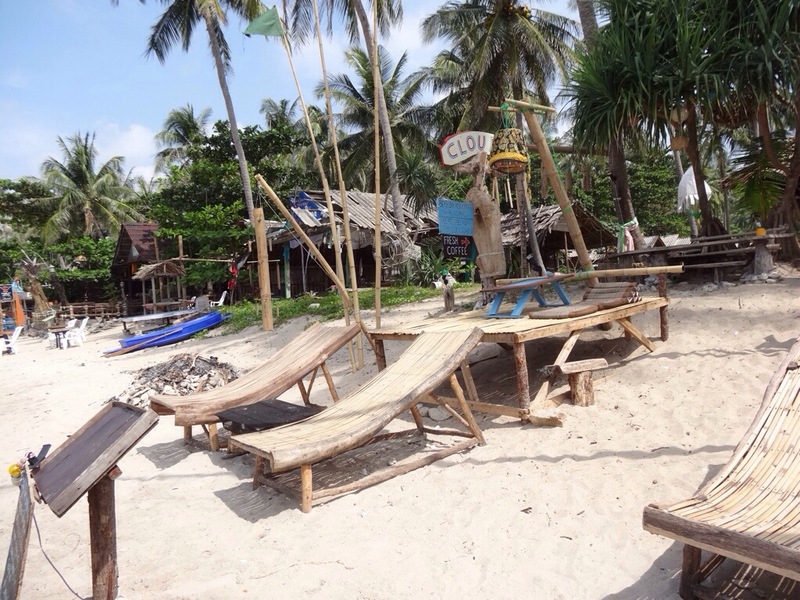 Kantiang Beach is a good area to stay if you are looking for isolation. 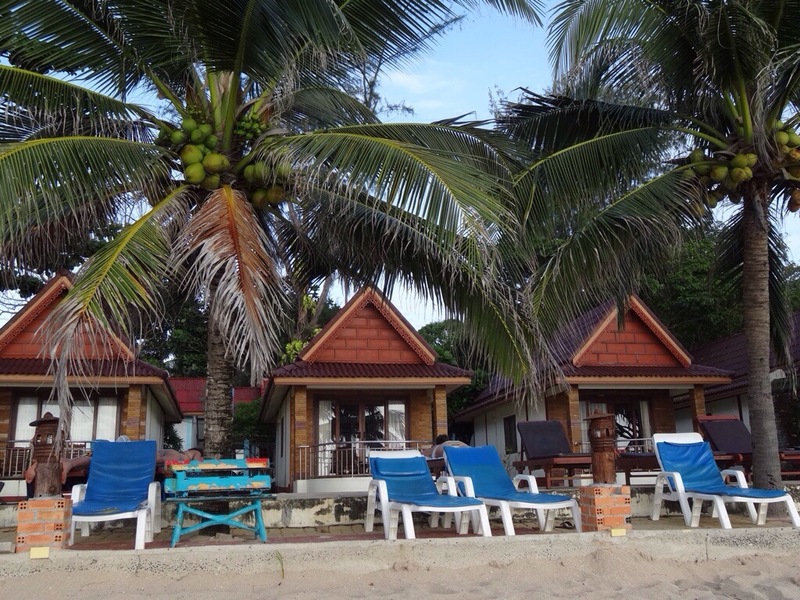 It has a luxury resort, and it is a small community with a handful of very good services. There are a few massage shops, places to book tours and transport at cheaper rates than through the hotels, a few shops to buy bottled water and snacks, places to do your laundry and to eat or drink. 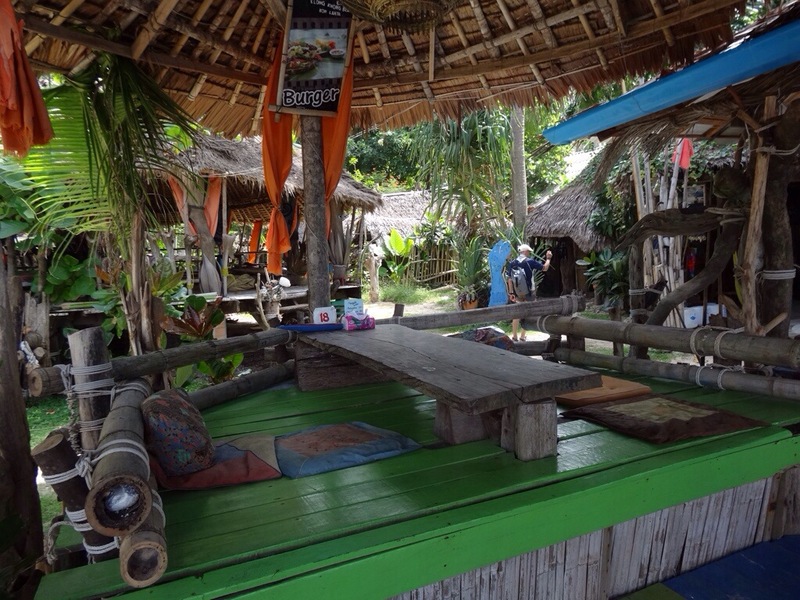 The best scuba diving outfit in Lanta is called “Scuba-fish,”and it is located in Kantiang. Despite the gory name, it is run by some cool young Thai women with fresh healthy awareness. It offers Thai and Western food, all home made to high standards. 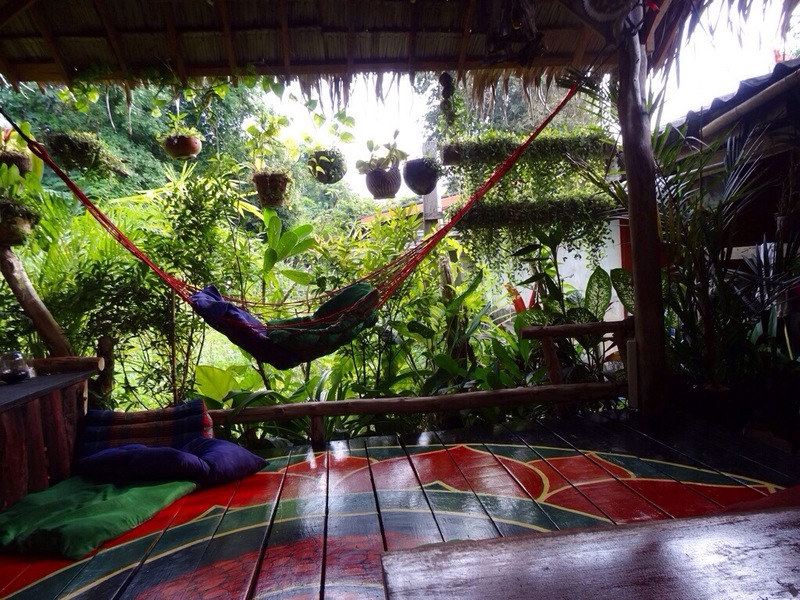 You can sit in their hammocks or on bean bags, or if your bones do not twist this way, at their wooden tables. 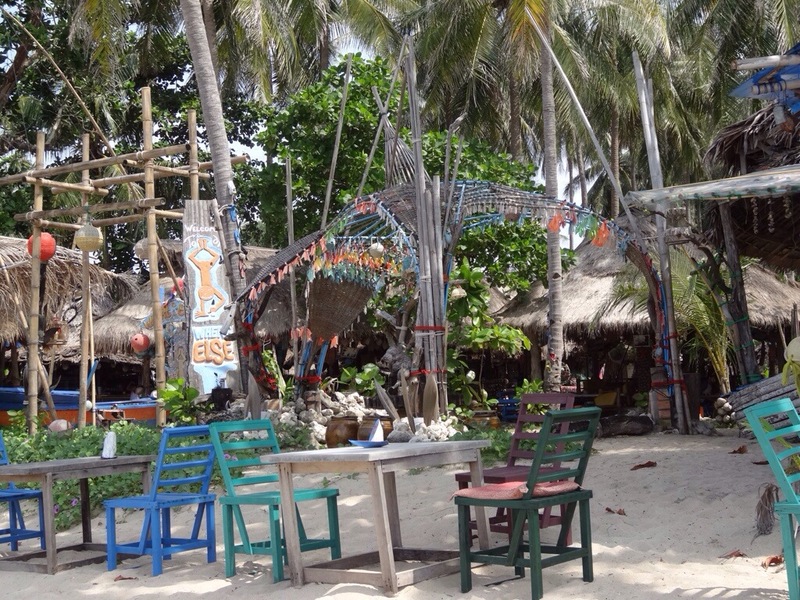 We loved eating there and enjoyed their fresh juices, freshly made lime sodas and handmade veggie burgers wrapped in a lettuce leaf, instead of a bun. They are served with hand made (not frozen) potatoes and a fresh salad. They also make delicious wide noodles with veg, and a good veg Tom Yam soup. The southern beaches have rustic bungalows for rent, right on the beach, at bargain prices. 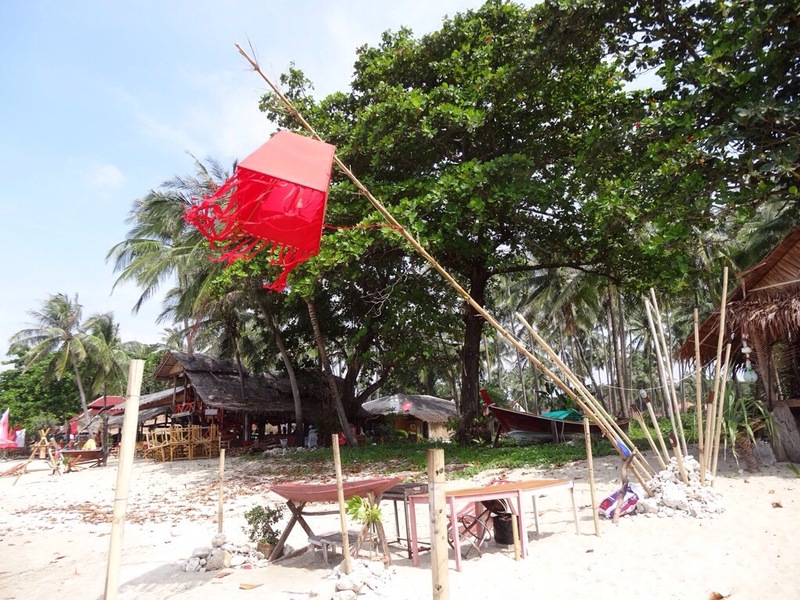 If you are not into staying in too rustic places, the best beach to rent a clean air conditioned bungalow right on the beach is along Klong Nin beach. It is a wide sandy beach with a clean stretch of the sea with no rocks, and a small surf break where you can body-surf the waves. We only slept in our pricy hotel. We spent our days in casual rustic places on the beach, and truly, I regretted booking our hotel on the internet and paying for it upfront. 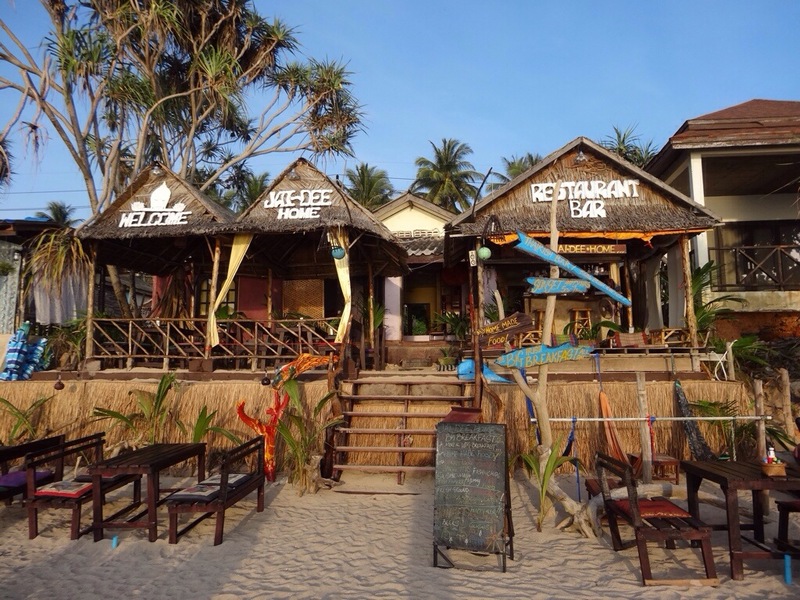 There are better choices to stay in Koh Lanta for much less money. Our hotel has a beautiful modern design, but it has no beach access, since it is located on a cliff with a rocky shoreline below. Somehow… I have to admit that the grey concrete, black marble and steel of the modern design, does not work well with a relaxed beach vacation. Those building materials that work so well in urban settings, do not actually weather well in the salty humid air of the sea, and what might have looked slick in a city, actually is cracking and looks divorced from the naturalness of the beach. If I were to build a house by the sea (again), I would use on the exterior only wood, natural stone or tile and glass. The stone and wood, being natural materials, are the better building materials for humid salty air. It is very costly to repair cracked exterior concrete walls (especially in high places of the structure) and it is almost never done right to actually repair the cracks. 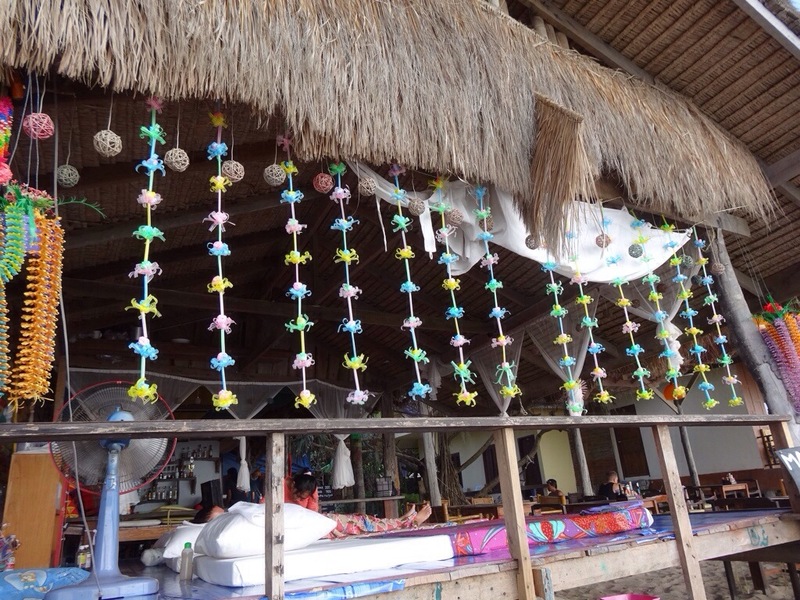 We spent the day at “Jai Dee restaurant,” which is located in Klong Nin beach. 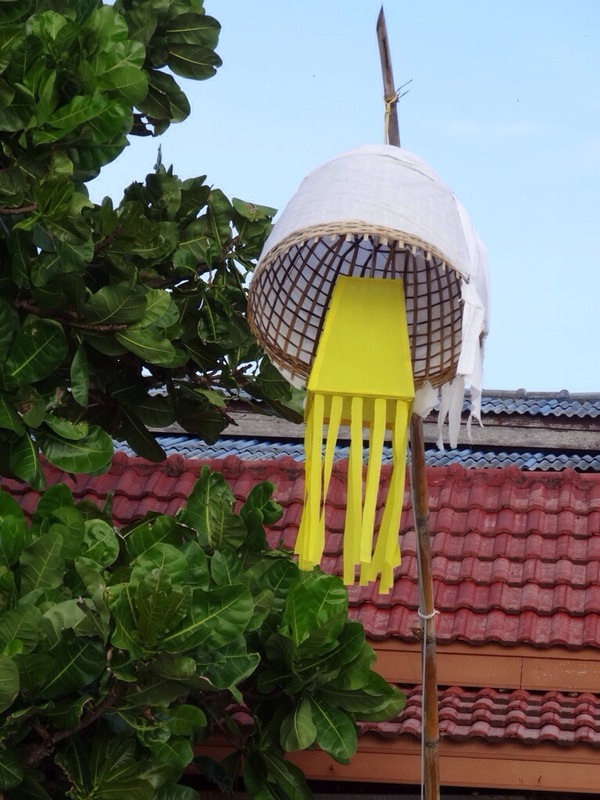 Jai Dee offers good simple food that can be made vegetarian, fresh juices, free WiFi and beach chairs with sun umbrellas for their customers. 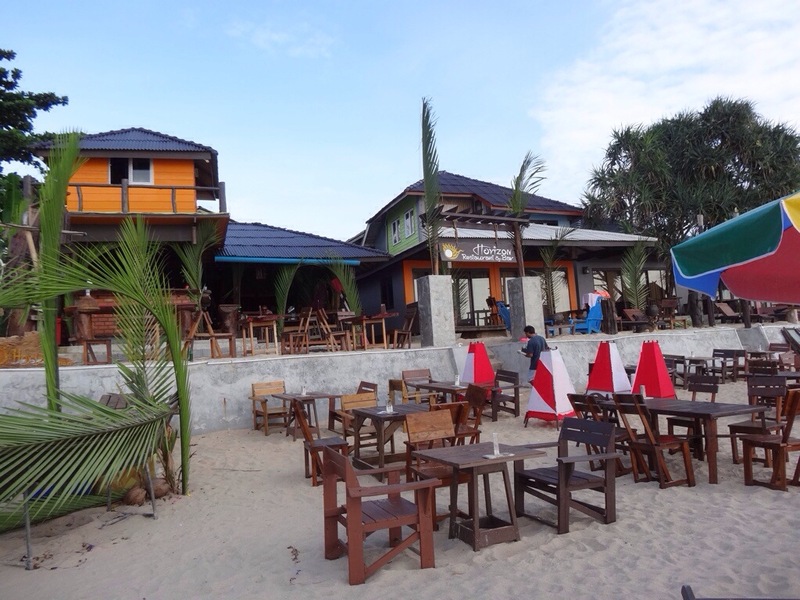 It is a small family run operation with a fun beach atmosphere. It is owned by an Irish man who married a Thai woman. We ate, drunk, took dips in the ocean, used the outdoor shower, took long walks on the beach and even got a massage in the middle of our dinner. 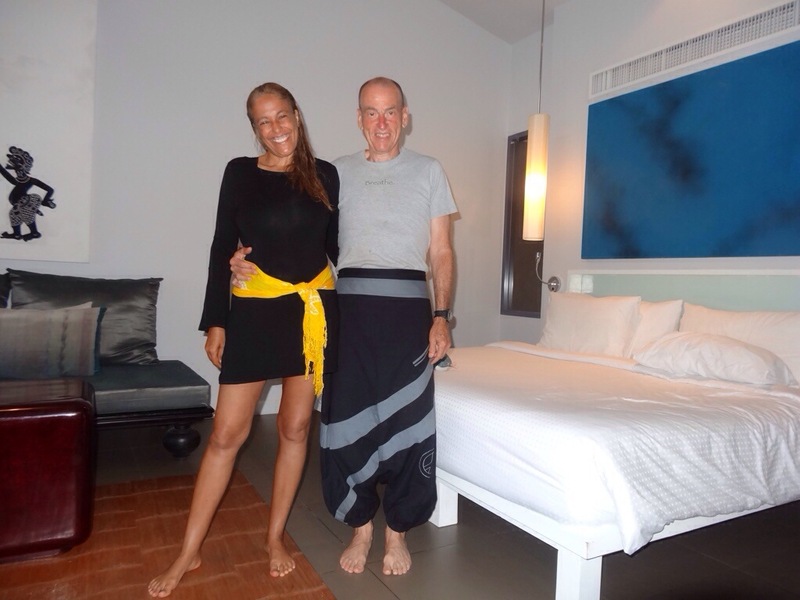 We ate some food while reclining on their Thai cushions, and left all our things there and went next door to get an hour long Thai massage, then came back and continued our dinner, still half naked, sandy and now smelling of tiger balm and coconut oil. 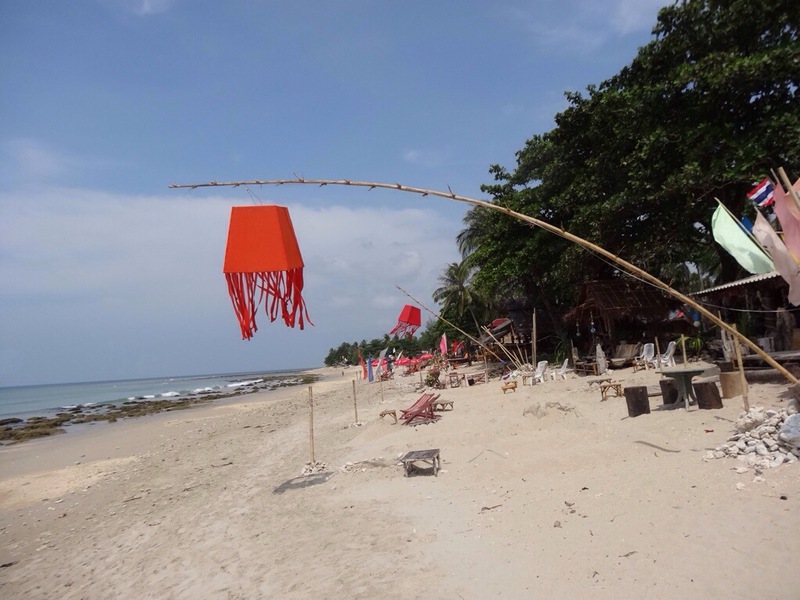 The beaches farther north from Klong Nin, are called Long Beach and Pra Ae Beach. 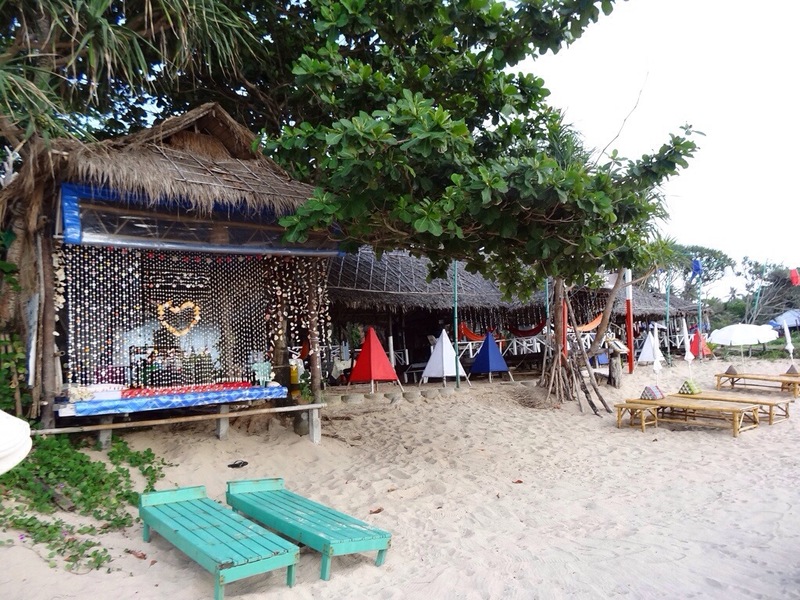 There are many modest accommodations right on the beach and many places to eat and lazy around. 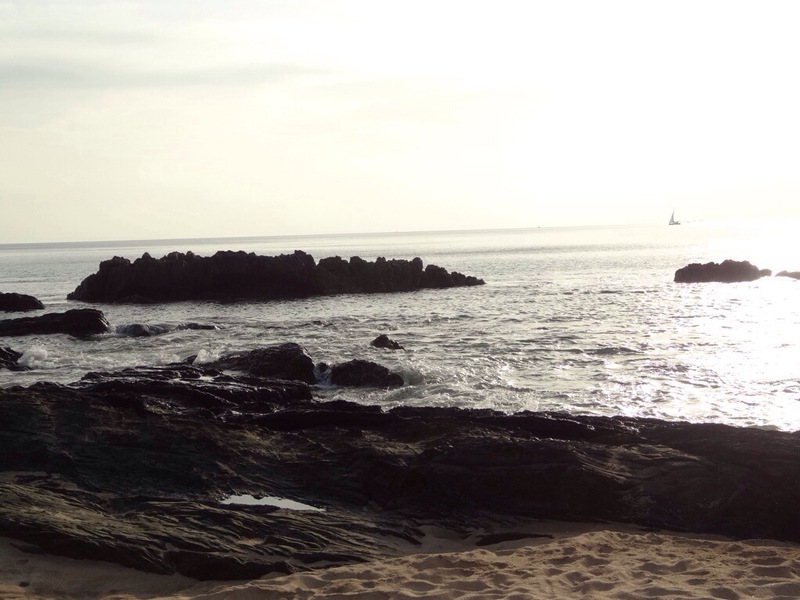 In the south part of Long Beach, the edge of the water is filled with coral and limestone rocks, which makes getting into the sea a bit difficult. Even with reef shoes, it is a long way into the sea until it is clear of rocks. 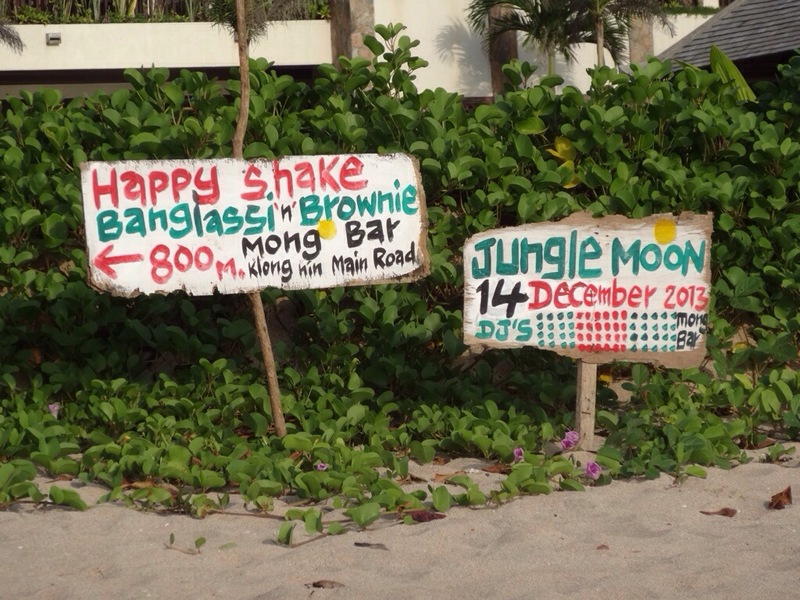 We took a long walk along Long Beach and noticed that many restaurants and beach bars offered “Bang Lassi” or loaded Chocolate Brownies. Some places actually had signs for cannabis, and a man with glassy eyes invited us to smoke a joint inside. 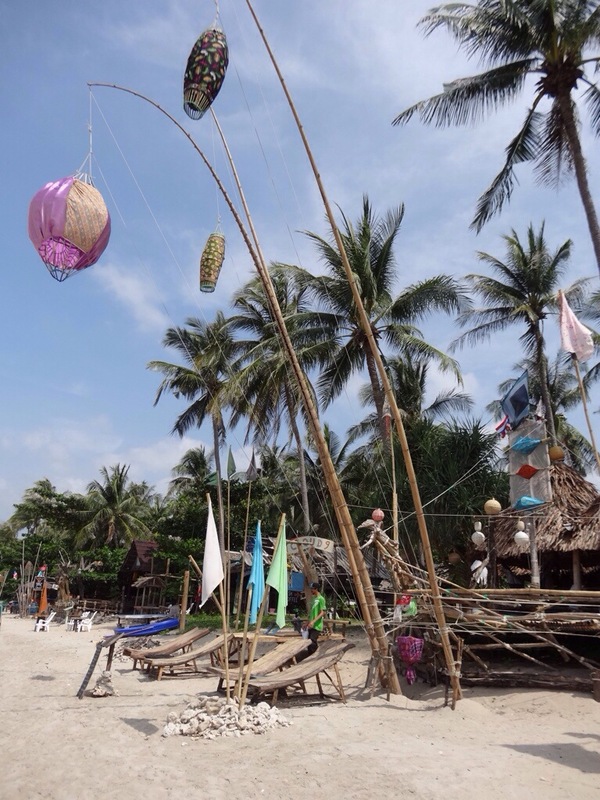 Even with the corals, the southern part of Long Beach is a very picturesque beach with about two dozen beach bars and small restaurants, decorated with lanterns and coconut husks, skeletons of old boats, seashells, driftwood and colorful buoys. The places looked charming and inviting in a rustic handmade way. They looked much like what I imagine the Florida Keys must have looked like, many years ago, when Hemingway first settled there. They made us a delicious vegetable soup and an eggplant salad, along with a good Penang curry. 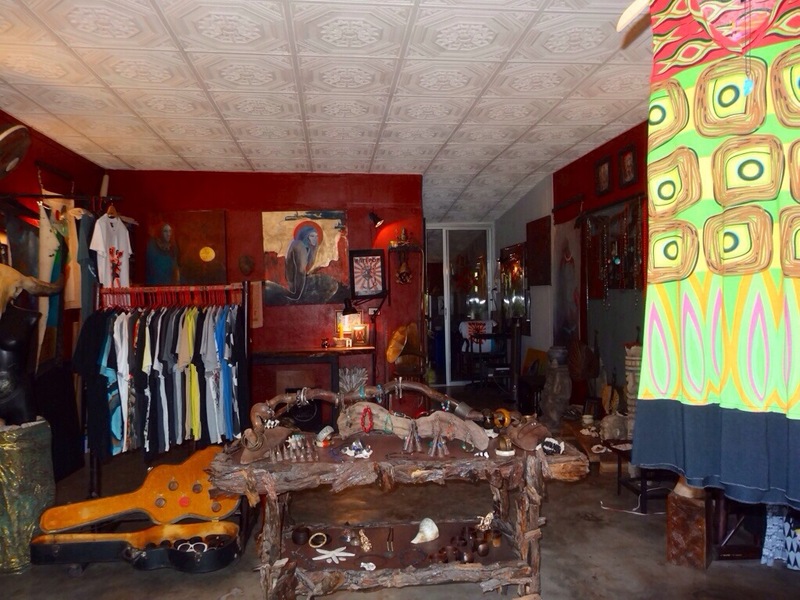 It is run by a couple of tattoo covered artists from Poland, who beside making elaborate tattoos with bamboo tools, also make and sell handmade jewelry, paintings, Buddha figurines and clothing. 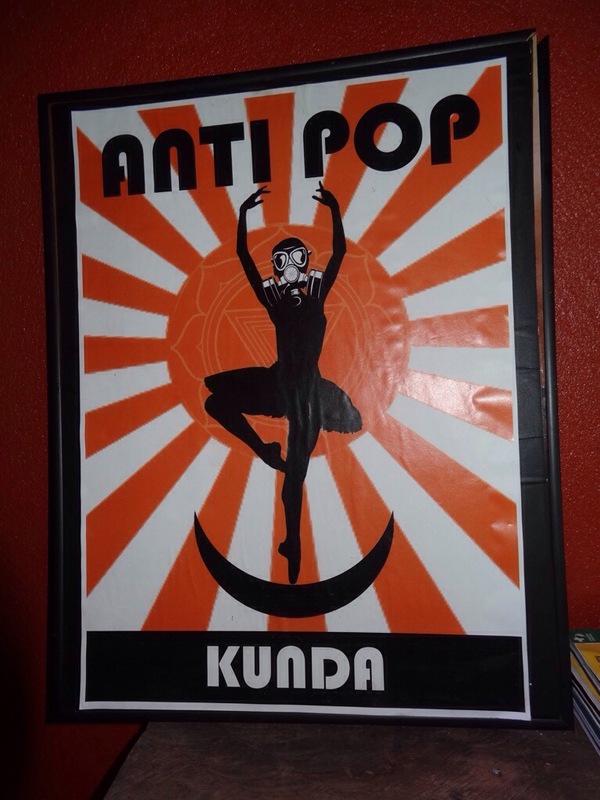 Kunda offered the best veg food we had on the island. We only regretted that we did not find them earlier during our stay in Lanta. They have a back patio with wooden platforms and cushions to lay and relax, fresh juices, awesome food and they grow many of the veg themselves. 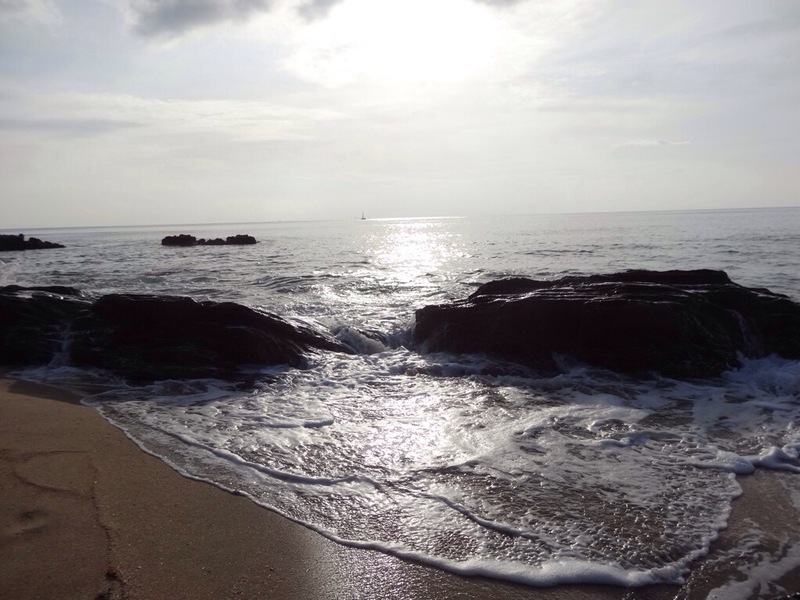 The beaches of Thailand are very soothing and relaxed. The places where we enjoyed eating and relaxing did not expect to turn tables quickly. They did not treat the tourists like a walking wallet, like they do in so many other places around the world, where there is constant flow of tourism. We spent a lovely day snorkeling from a speedboat. We swam through an emerald sea cave in Koh Mook (also spelled Koh Muk) which led to an inland hidden beach with no other access, where pirates used to hide their stolen treasures. The cave is wide, but it got really dark as we swam deeper. As always, we were not alone, as groups of tourists visit the Emerald cave every day. Some used a small kayak to go through, or even a tiny inflatable boat. The most comical way to swim through the dark cave was demonstrated by a large group of Chinese tourists, who wore orange life vests and were tethered together in a tight line, like a live centipede with many arms and legs flapping around, all giggling, laughing and having a good time. We snorkeled the beautiful coral in Koh Haa, where fearless tropical fish came to nibble at our hands. We marveled at the beauty of the purple anemone, which in strong currents, folds into itself, covering itself like a beautiful Muslim woman, with a bright purple veil. 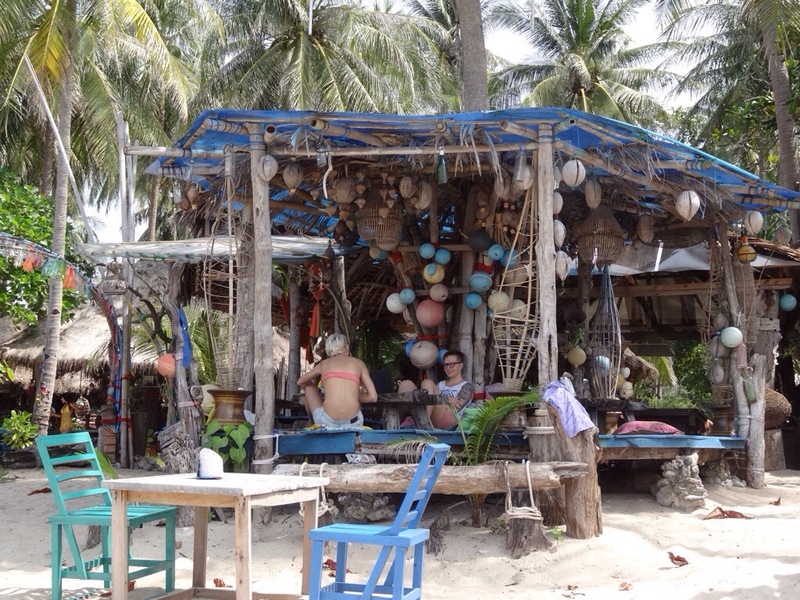 I came to enjoy Koh Lanta for its diversity…. 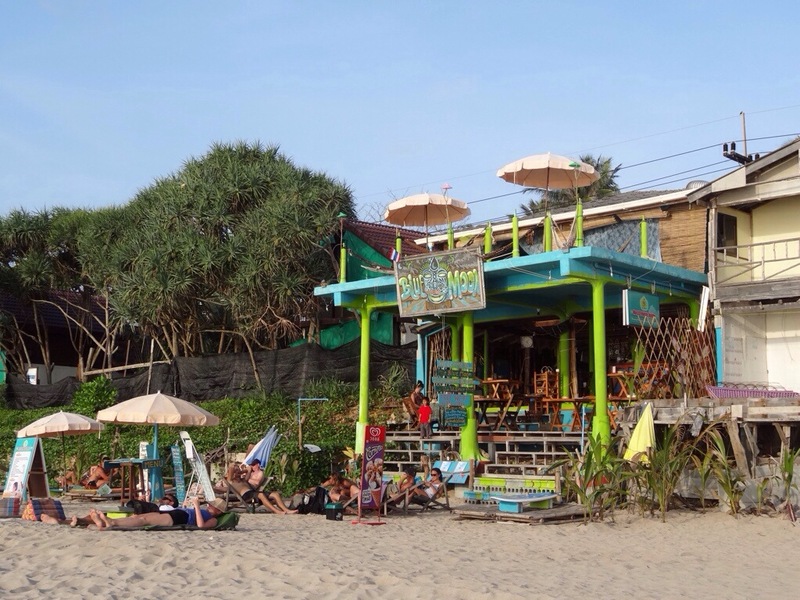 By the time our week on Lanta was over, I understood why people like to come here and do come here every year on their beach vacation. You get a lot for your buck and it is so totally accepting and inviting, that if you let it, it will slip under your skin and relax you, despite yourself….. This looks fantastic. Enchanting even. Thank you for sharing this experience! Thanks John, for reading this post and for taking the time to write your kind words.